SHX-A series ampoule washing-drying-filling-sealing linked unit is designed and developed by our factory on the base of importing, digesting and absorbing foreign advanced technology, and on the collection of design and manufacture experiences of 30 years on small volume liquid filling linked production line, it is a linked production line applicable for ampoule production. 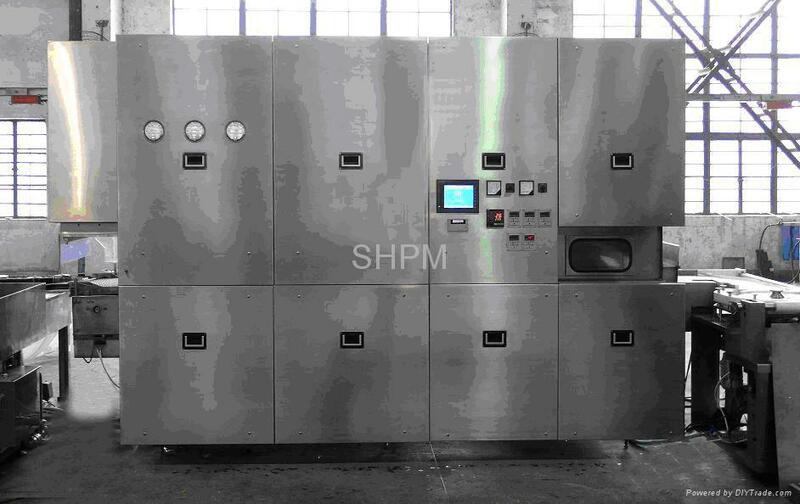 SHX-A ampoule washing-drying-filling-sealing linked unit is composed of KCQ80 (60) (40) series ampoule ultrasonic washing machine, SHMR600/43 (SLAL400/32) sterilizing dryer, and AKGFS8 ampoule filling-sealing machine (can be used for antibiotic bottle filling, stopper adding or stopper semi adding, too). It is applicable for water and air spray washing alternately the B type easily broken retort ampoule, hot air laminar dry and sterilize, multiple needle filling and sealing. 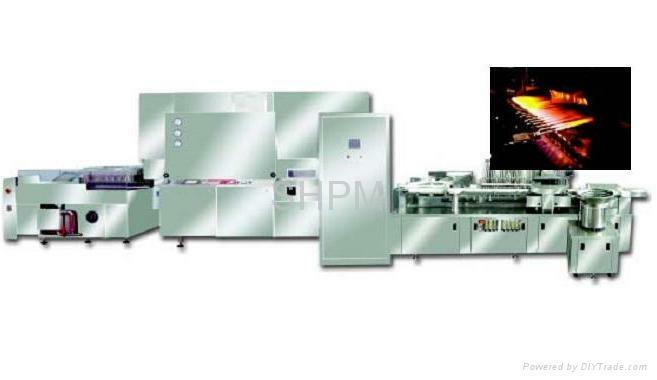 The whole machine is under PLC control, it can be linked controlled, and it can be operated with single machine. The working state of each position can be automatically supervised, and it is displayed by light pole, or by man-machine interface. In the clean room, detector may be mounted for site supervision, and automation control level is high. This machine has PC automatic checking function, once the machine is failed, it can shut down the machine immediately and display the failure position and display trouble shooting for easy repair. 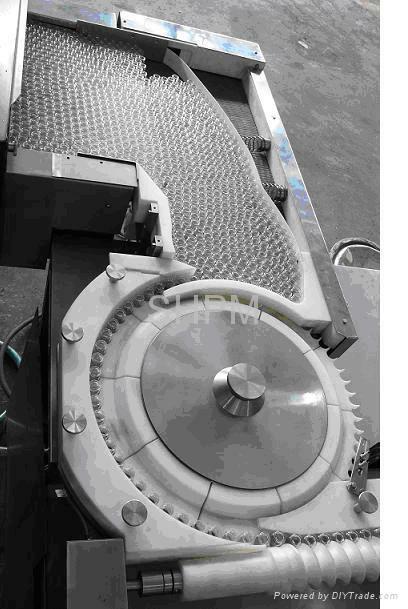 The vertical ultrasonic wave washing machine is designed with over-load protection device, once the main shaft is over-load, it will shut down the machine immediately. On the washing control cabinet, there are lights feedback the working states of the filling machine and visual talking, or man-machine interface display and control. The operator can know the working state in the cleaning room at any time. The sterilization dryer uses surface cooler technology, it completely realizes no-suction wind and zero discharge. 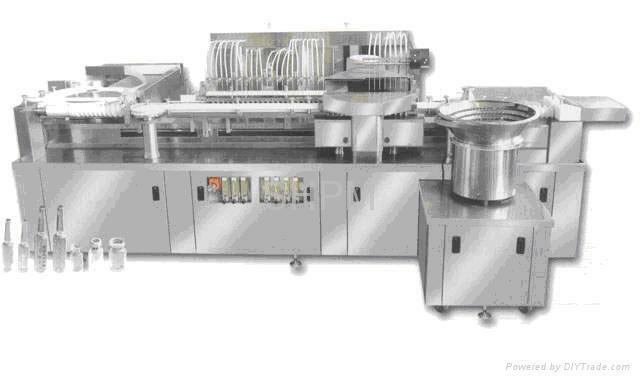 The table of the filling machine is step type for easy washing, it has optional peristaltic pump, glass pump and ceramic piston pump for customer to choose. The application of the servo motor driving, PLC, frequency converting speed regulation and the technology coordinating each functional mold with servo motor makes the control system reach the world advanced level. The control operation can also provide visual talking device according to customer’s requirement. The global qualified rate can reach to above 99%. KCQ80 (60) (40) Ultrasonic wave washing machine is specially designed for automatic washing of various kinds of ampoules. 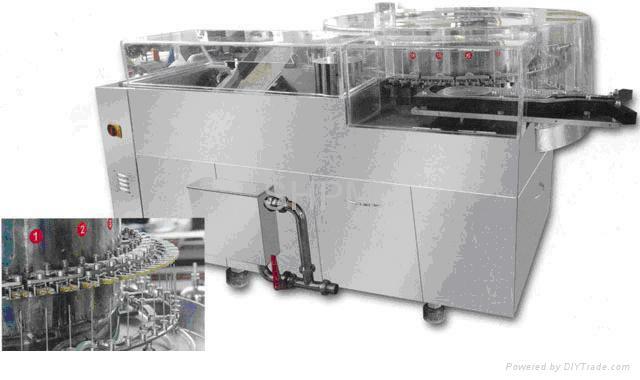 This machine is mainly applicable for the washing of 1ml, 2ml, 5ml, 10ml and 20ml ampoules. This machine is of vertical rotation structure, it uses mechanic hand to clamp and overturn the bottle, it uses ultrasonic washing and water-air alternation spray to wash the bottle one by one.